This afternoon Jose had an appointment that got cancelled, so we packed some snacks and went to the Eaton Canyon Natural Area Park. I got the idea from this blog I recently started following. While we live here, I'd like to start taking advantage of all the natural attractions that surround us. Being that we live nearly at the foothills of the San Gabriel Mountains and not far from Griffith Park there is presumably much to see. I'm not happy with some of the landscape shots I took. It seems I had the flash on when I shouldn't have. But here are my favorites. There was no water at all in the wash (creek). 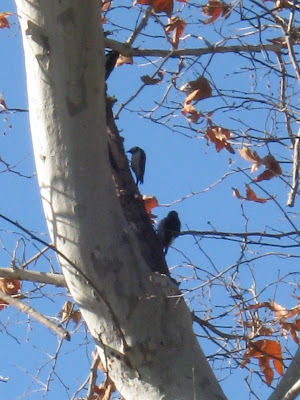 And the birds in the tree are Woodpeckers, busy pecking (so cute)! Raquel was actin' stank. Look at her face. 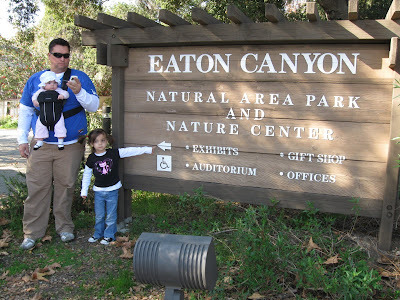 My family and I used to go to Eaton Canyon about 2-3 times a week when I was about 16 years old. They would pick me up from summer school in the middle of the day, when my 1 class was over and take advantage of being in the area. I remember HATING it. I was 16. I wanted to go home and be on the phone. As an adult, I remember it and have memories of how pretty that place is. I keep saying, you guys live in a beautiful city! 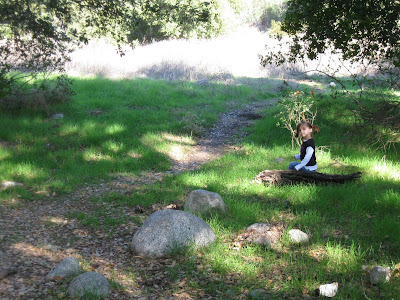 Eaton Canyon is only one of the many pretty things to see. 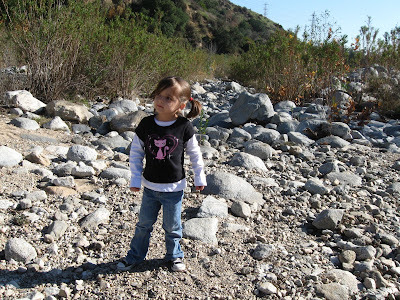 When the kids get a little bigger, you should visit Chantry Flats! That's one of my favorite places in your area. But it's a little more tough. Heh, I remember being 16, kinda. But I wasn't one for the phone. I liked tv. This is wonderful!!! 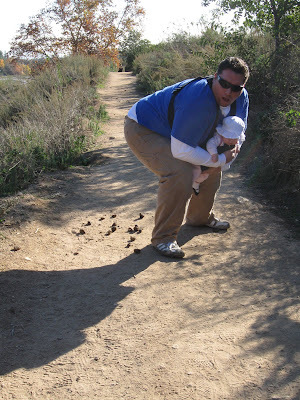 I remember when my now 11 year old was a baby and carrying him over the same trails. Each year it seems we'd go a little further and get a little more daring. 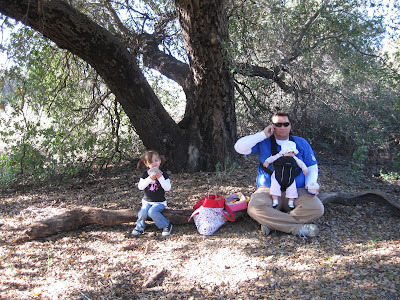 We've picnicked under the same oak tree your daughter is sitting under. Then he loved rock jumping in the wash (I had to close my eyes on some of it). Then we caught tadpoles in wash. Saw a beehive and a coyote one time. 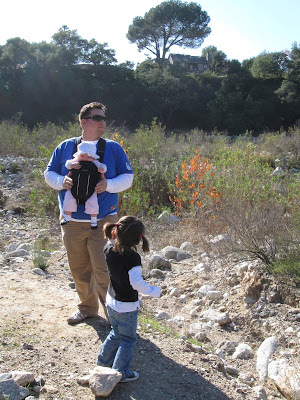 Then, a few years ago, we hiked to the falls! Eaton Canyon is such a great place. Thanks and I hope you keep it up! this was fun. i wanna go back again when i dont have to work and just hike hike hike! Great pictures! I went to Chantry Flats once I think and it left quite the impression. I still remember so much of that day. My Baby is the Big 6!